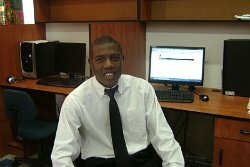 From the 4th of April 2011, Mr Nobert Rangarirai Jere, a Fort Hare Telkom Centre of Excellence researcher will be visiting the Department of Computer Science and Engineering at Aalto University, in Finland, for a 1 month PhD exchange. The visit, initiated and supported by SAFIPA, will develop the already active co-operation between Aalto University and South African universities and is part of the SAFIPA mandate to facilitate knowledge exchange visits in the fields of Science, Technology and Innovation. RLabs, in Cape Town, is already in working in collaboration with Aalto University.